Kenneth (Ken) Clyde Bradford was born on June 8, 1929 in Monroe, Michigan to Kenneth and Gertrude Bradford. He passed away on April 18, 2015 at his home in Mesa, Arizona. Ken attended Hillsdale High School in Hillsdale, Michigan and graduated in 1947. 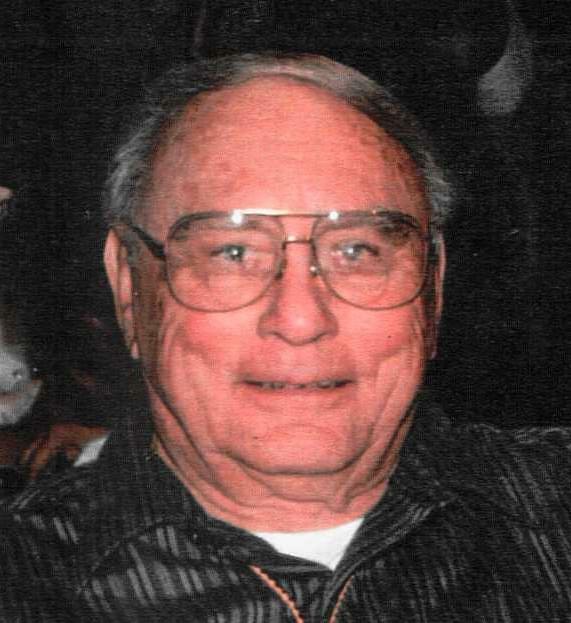 He served in the U.S. Air Force from 1950 to 1954 as a Staff Sergeant and was a Technical Training Specialist for Teletype Systems. He attended Phoenix College and Arizona State University. Ken’s family moved from Michigan to Arizona in 1947, finally settling in Scottsdale. He married the love of his life, Glora Belle Ulrich, on September 6, 1951 and they were married for 57 years before she passed away in 2008. Ken worked for Garret Air Research (Allied Signal, Honeywell) for 37 years and also had his own Air Conditioning and Heating business. He obtained his Private Pilot License and adored flying. He also was an avid train collector and loved Christmas. He and Belle were members of the Department 56 Southwest Villagers for many years and loved sharing their “Christmas House”, full of decorations, trains and villages with family and friends. Ken loved animals and could always be seen walking with his constant and faithful companion, Molly. Ken is preceded in death by his parents, Kenneth and Gertrude Bradford; his wife, Glora Belle Bradford; and his brother, Gaylan Bradford. He leaves behind his brother, Duane Bradford, of Tucumcari, NM; his sister, Suzanne (Warren) Perow, of Gilbert, AZ; his sons, Danny C. (Kathy) Bradford, of Whetstone, AZ and Larry D. (Carol) Bradford, of Everson, WA; his grandchildren, Tiffany Bradford, Tamara (Mark) King, Jeremy Bradford, Heather Bradford, Kenneth Bradford; and his great grandchildren, Jonnee, KayLee, Wyatt, Kyle and Zeth; as well as numerous cousins, nieces, nephews and friends. A public Celebration of Life will be held Saturday, May 2, 2015 at 11:00 AM in the Las Palmas Ballroom, 215 N. Power Rd., Mesa, AZ. A private interment ceremony is scheduled for a later date at The Southern Arizona Veterans’ Memorial Cemetery in Sierra Vista, AZ. In lieu of flowers, donations made be made in Ken’s name to Sunshine Acres Children’s Home in Mesa, AZ and Wycliffe Bible Translators at www.wycliffe.org.